The annual publication of the Spanish Network of the Global Compact highlights the industrial theses program of the UCA with Acerinox. In order to achieve a better world, the United Nations made a 15-year global pact in 2015 with 10 Core Principles, 17 Sustainable Development Goals and 169 goals. 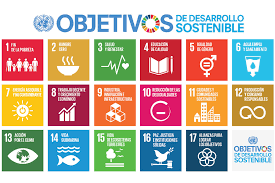 The annual publication of the Spanish Network of the Global Compact analyzes those actions of awareness and training towards the private sector that have begun in 2018, as well as progress in achieving the Sustainable Development Goals (SDG) in Spain. This year, the aforementioned publication highlights the agreement signed between the University of Cádiz and the company as local alliances for the achievement of the SDG objectives for 2030, valuing this UCA-Acerinox program as a pioneering formula in the Spanish university system, which promotes the training of research personnel through the completion of industrial doctoral theses and aims to contribute to the improvement and innovation of the plant that the company has in Los Barrios. This program of industrial theses is an initiative of the Vice Rectorate of Transfer & Technological Innovation.